Agricultural Research Sub Station, Samdari, Barmer is working under the jurisdiction of Agriculture University, Jodhpur. It was established in 1998 by transfer of farm from Agriculture Department, Government of Rajasthan on basis of National Commission on Agriculture recommendation. 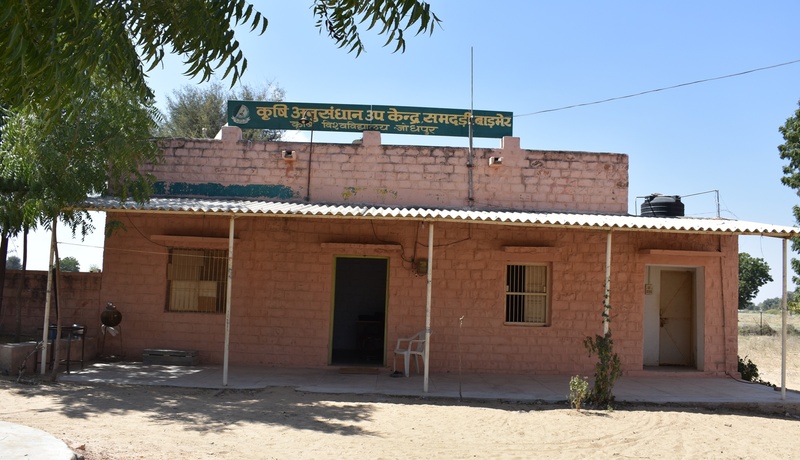 This Sub Station was established with the objective of agricultural research and seed production in Arid Western Plain Zone (1A) of Rajasthan. ARSS- Samdari is situated on main railway line from jodhpur to Barmer and Bhiladi at about 129 km from Barmer district headquarter and 80 from Jodhpur. to develop cost effective technology, high yielding varieties along with addressing the conservation of natural resources of soil, water and vegetation by researches conducted at different locations under varied agro-climatic conditions.